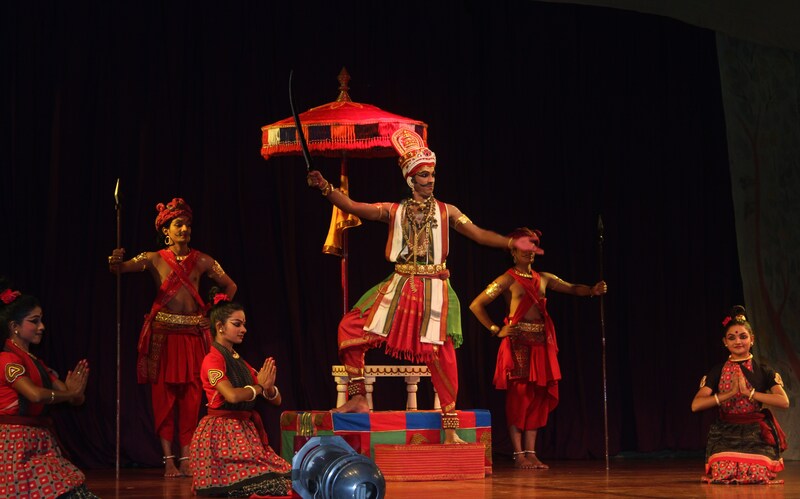 The Embassy of India and the Ministry of Culture, Government of India recently hosted The Festival of India in Cambodia. There were two events held in February. 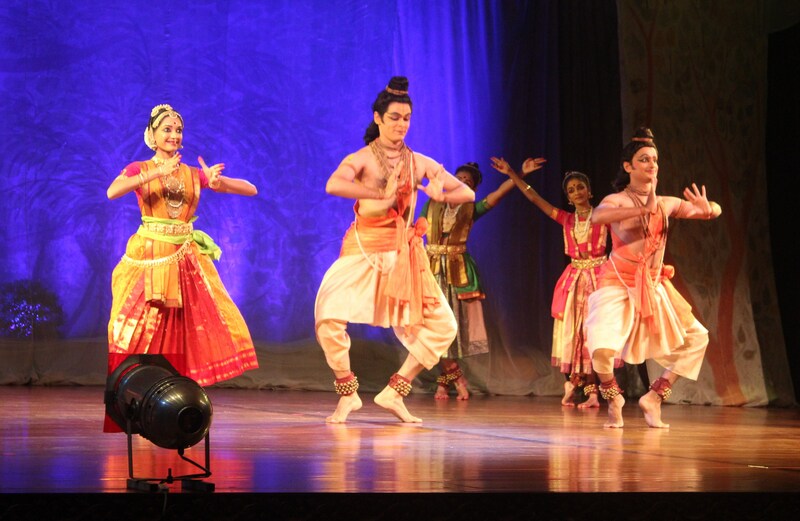 One the Buddhist Festival with a Buddhist themed photo exhibition and the other, Ramayana Classical Dance Performance by the world acclaimed and well esteemed Kalakshetra Foundation, Chennai. 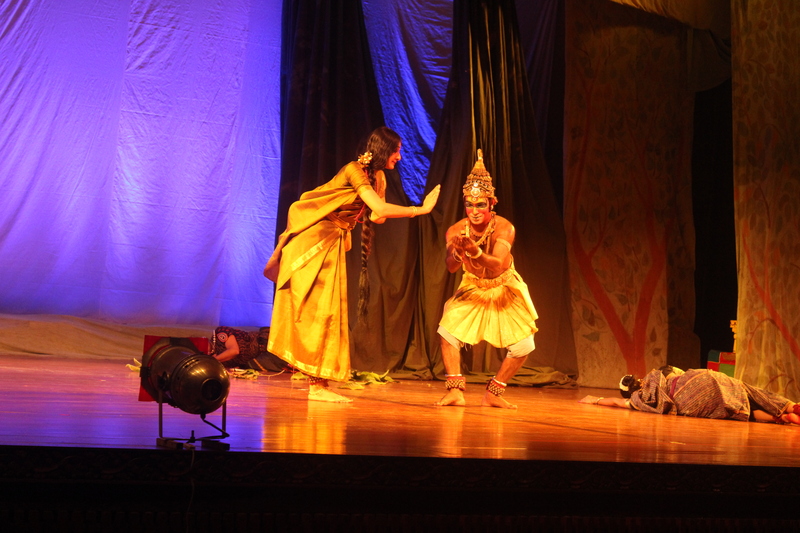 The epic Ramayana was performed by Artists from the famous Kalakshetra Foundation, Chennai, Tamilnadu, in Siem Reap province for two days at Sophitel Pokheetra Hall (14.02.14 and 15.02.14) and in Phnom Penh at Chaktamouk Theatre for three days (17.02, 18.02 and 19.02.14). Rukmini Devi founded Kalakshetra in 1936. She devoted the next fifty uears – until her death in 1986 – to this institution, now India’s premier dance school. 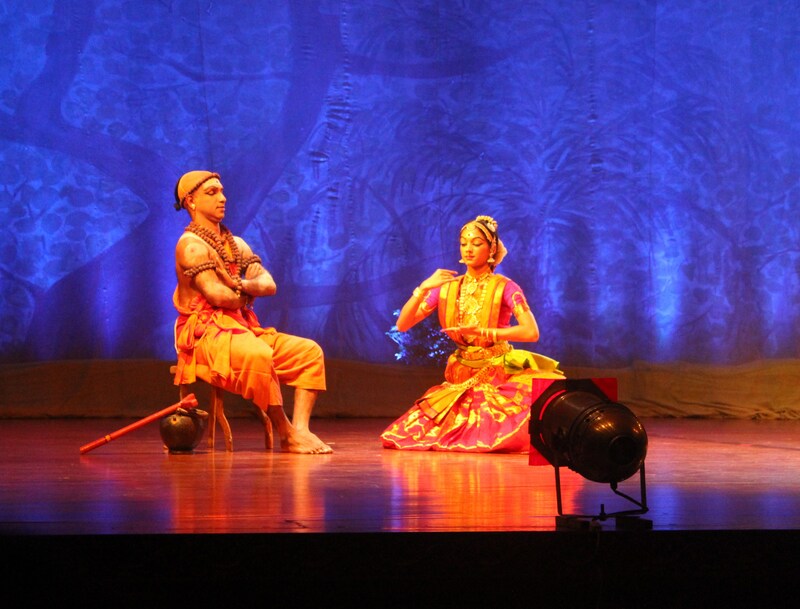 It focuses on bharatanatyam, carnatic vocal and instrumental music, the visual arts, traditional crafts, textile design and heritage, besides history and philosophy. 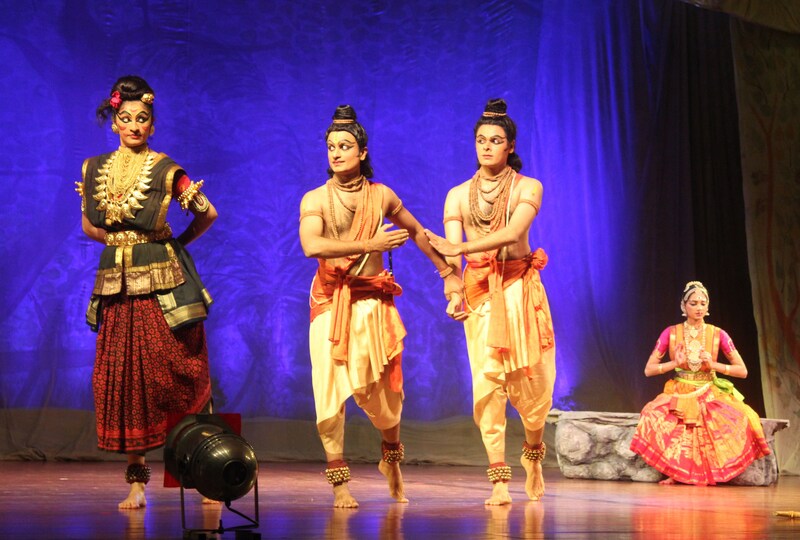 The Dancers, Vocalists, Instrumentalists and the very important Behind the Screen Technical Artists arrived as a crew with the Director of Kalakshetra, Priyadarsini Govind a renowned dancer herself. She is immensely respected for her gentle blending of traditional dance with new choreography. Her inseparable talent has loaded her with numerous awards and honours, among which are the Prestigious ‘Kalaimamani’ title by the Government of Tamilnadu in 1998 and ‘Yuva Kala Bharathi’ in 2000. 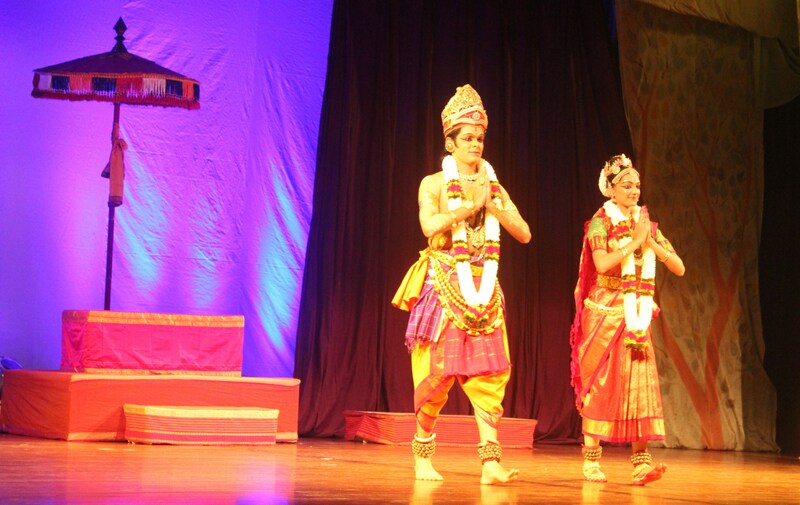 The classic dance drama, not only showcased the rich cultural and artistic heritage of India but also served as a connecting link between many of the Asian countries. 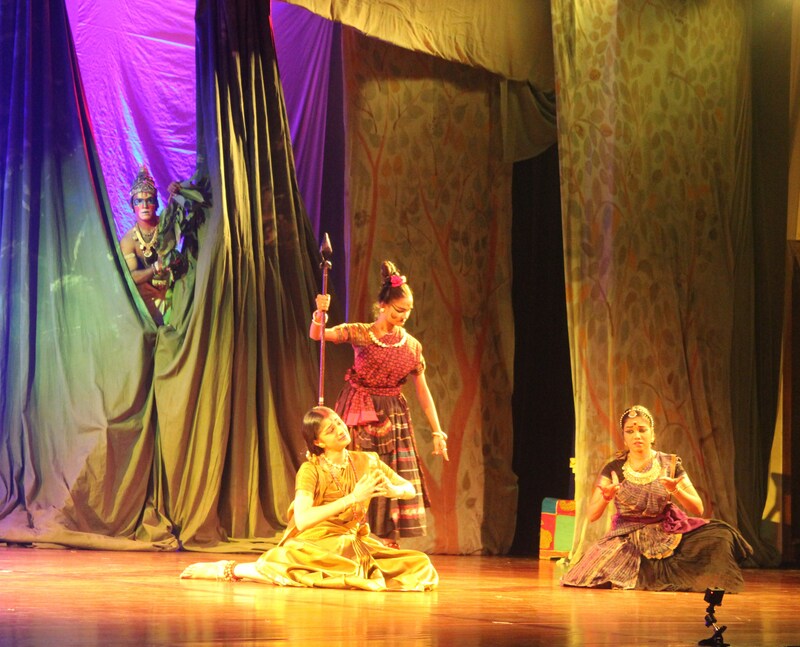 Ramayana is popular in various parts of south east asia, where the epic is adapted according to the country’s culture and life style. 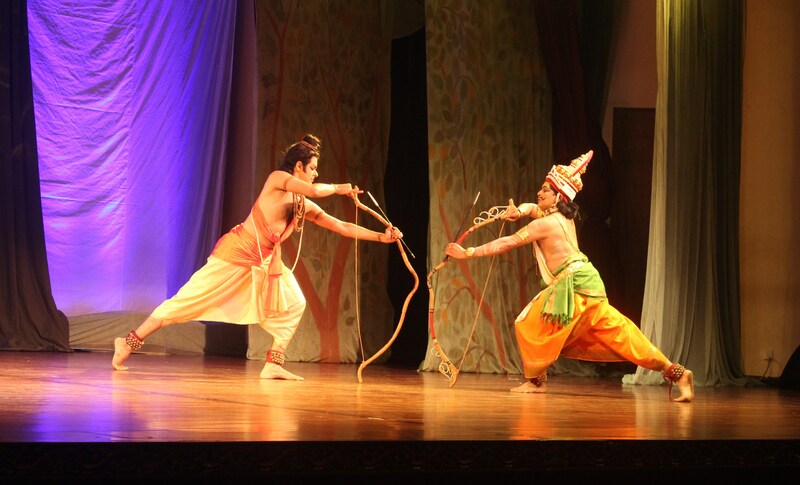 Even within India, Ramayana in each language, adapted from the original Valmiki Ramayana, has unique features of the respective territory. Here in Phnom Penh, Guests from various countries thoroughly enjoyed the rendition and felt the connect. 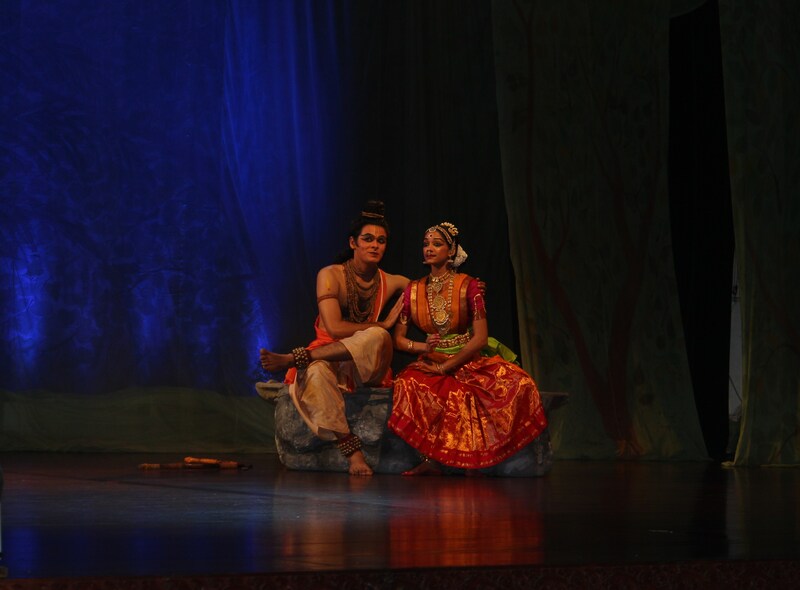 The connect was not only because of Ramayana, but due to the immensely talented artists who performed on stage – who brought the characters in true picture. 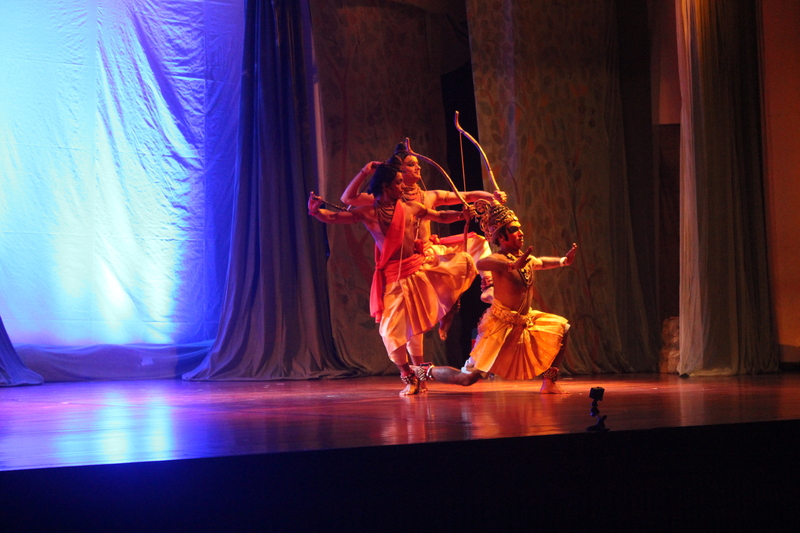 The enthralled spectators would have been comparing their version of Ramayana with that performed on stage. 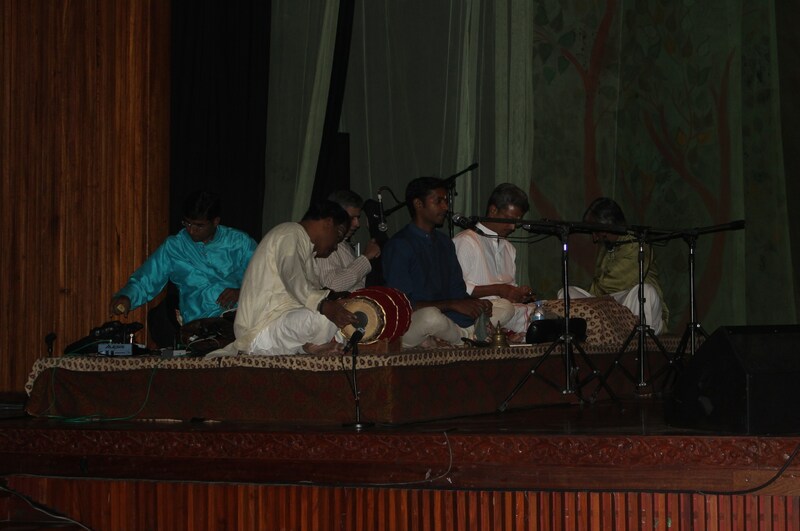 The Performances were a class apart, with the incomparable discipline in the steps and outstanding co-ordination of movements, the super speciality of Bharata Natyam.The traditional way of having the vocalists and instrumentalists on the side stage, with live music was another feather on the cap! 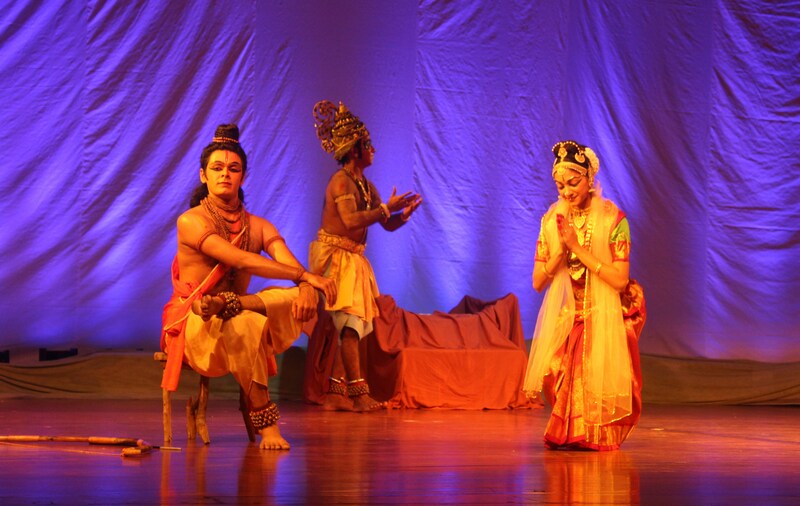 There are certain fundamental differences between Valmiki, Kambar and the great Ramayana poets. There is no definite mention in Valmiki of Surpanakha transforming herself into a beautiful maiden in order to tempt Sri Rama. We are also accustomed to think Ravana lifting Sita with the part of the earth on which she was, to protect himself from magnetism which was like fire, destroying him. 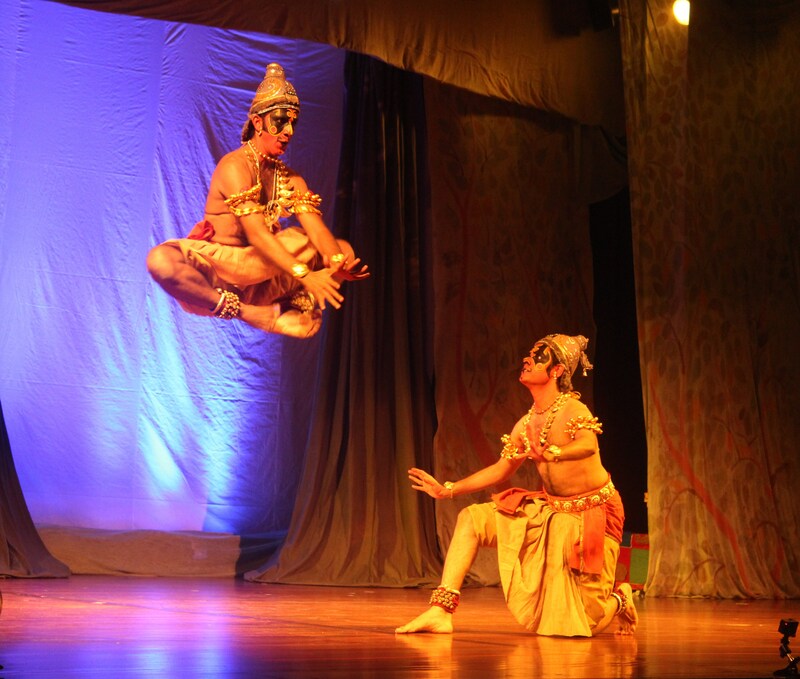 This is not so according to the Valmiki version, which says Ravana lifted her physically. 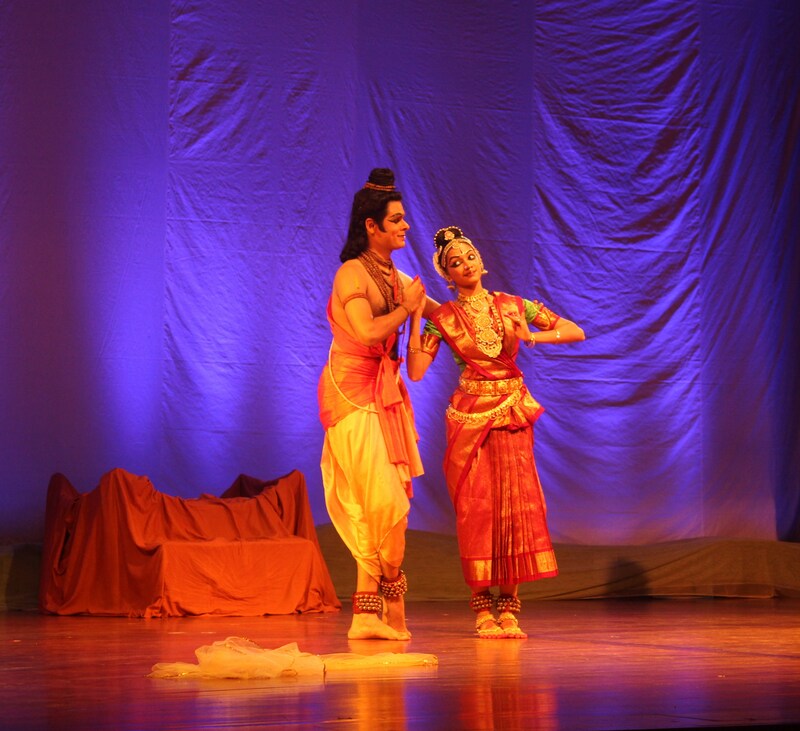 These are some of the pictures which would explain the sheer beauty and poise of the dance and the stunning stageappearance and the almost real characters on stage! In Tamil, names have the suffix ‘an’ for male names as raman, lakshmanan, bharathan and ravanan; and here ‘ai’ for female names as in seethai and surpanakai. As I am comfortable in addressing the characters in the Tamil version, the names are mentioned likewise. For info on the topic, I found this blog – http://ramayanainfo.blogspot.com/2010/06/jataayu-moksha.html%22 helpful. Please refer http://srimadramayana.blogspot.com/2007/04/choodamani-pradanam.html for the story of the episode. 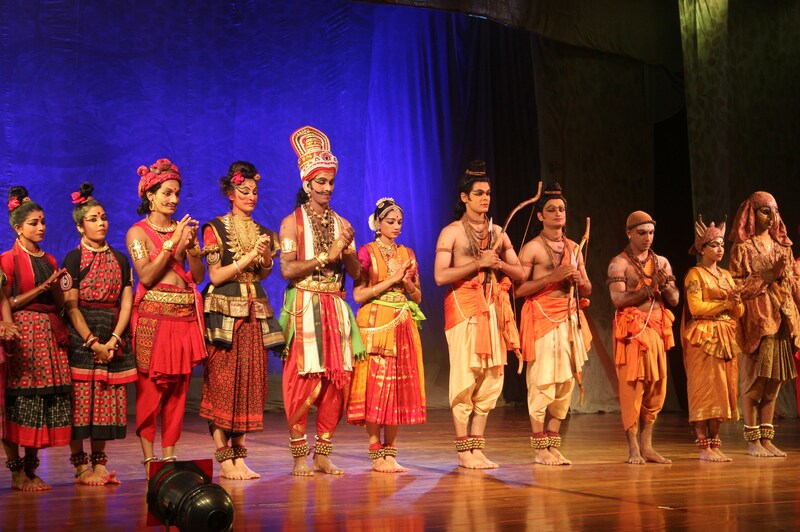 Read http://www.kalakshetra.net/maha_pattabhishekam.html for details of the story. 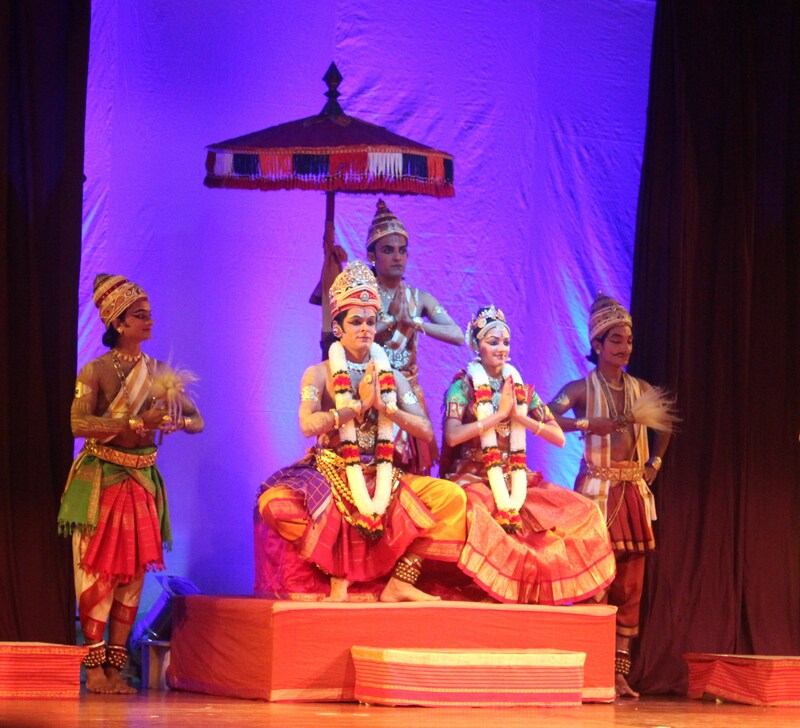 Crisp Steps of ‘Bharatha Natyam’, co-ordinated with other forms like ‘Kathakali’ made the performance an undoubtedly unique affair. 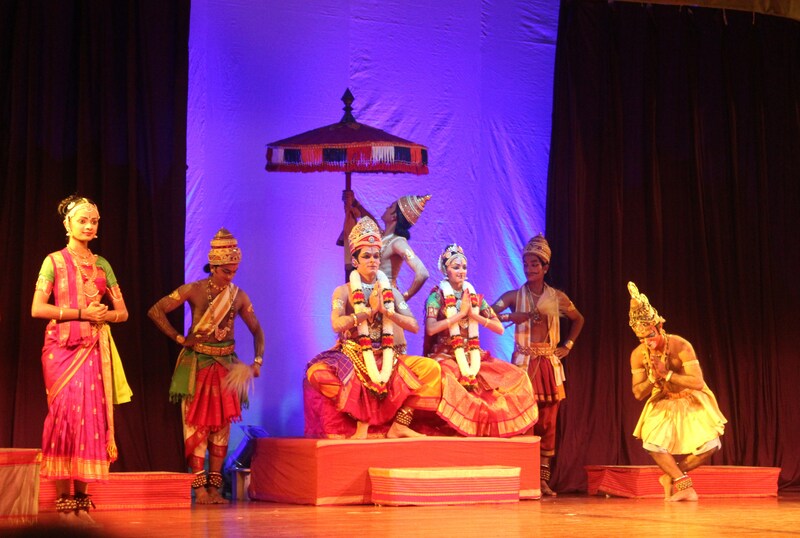 The make-up, jewellery and the importance given to costumes gave a feel of a celestial wonder! 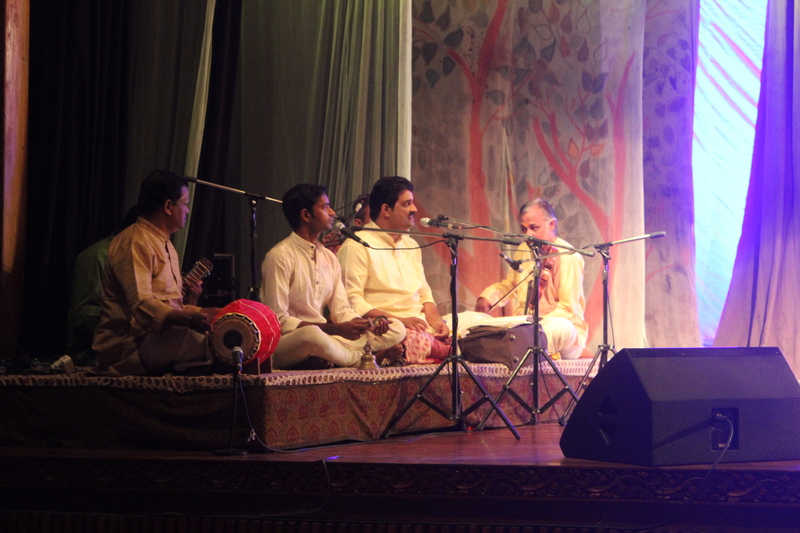 The verses sung were in Sanskrit from the original Valmiki Ramayana. Yet, the translated version which was displayed continuously on side monitors helped in comprehension of the scenes better. 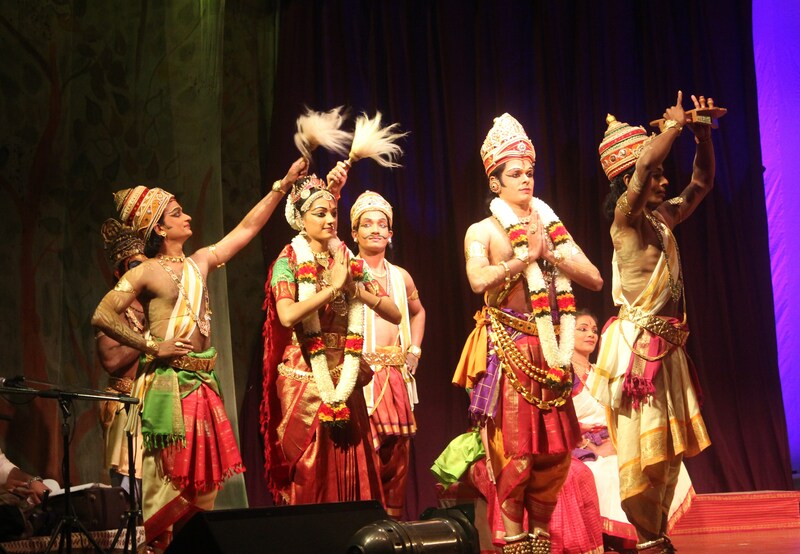 Committed to artistic excellence whether in classrooms, in auditoria or during tours around the world (as a performance company), Kalakshetra productions are widely recognized for their in-depth research, impeccable technique and refined aesthetics. Formerly, the Buddhist festival was held at Wat Ounalom, with the Himalayan monks performing Lama Chanting, a specialized form of chanting that produces multiple distinct pitches simultaneously. The monks also created sand mandalas and butter sculptures showing an innovative version of Buddhist worship medium. A photo exhibition named Dhamma Dharshan portrayed various aspects of Buddha’s life and the eight important places in the life of Buddha – the venues located in India. It was surely a wonderful journey and a unique experience of knowledge gaining of the great Man’s life under one roof. 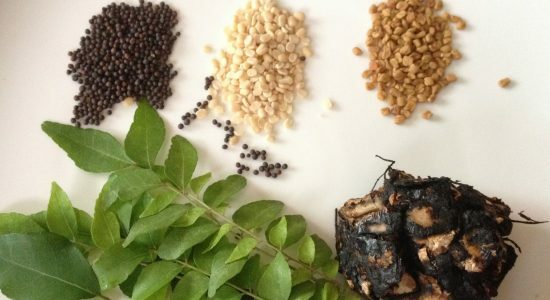 Still in store – a Food Festival and Film Festival are also being organized here in Cambodia in the month of April, as part of the Festival of India. Surely the True Flavor of India! Next Post Power Packed Pancakes – Whole Grain Dosais! Thanks ! 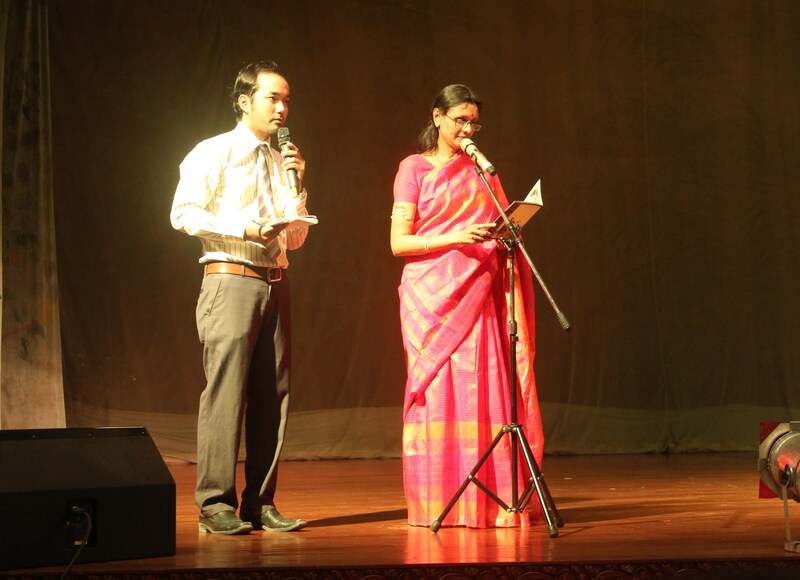 Great act and beautifully described.Well done Subu! Wow, great event and lovely pictures! Hi Sara, I have no problem using my photo. 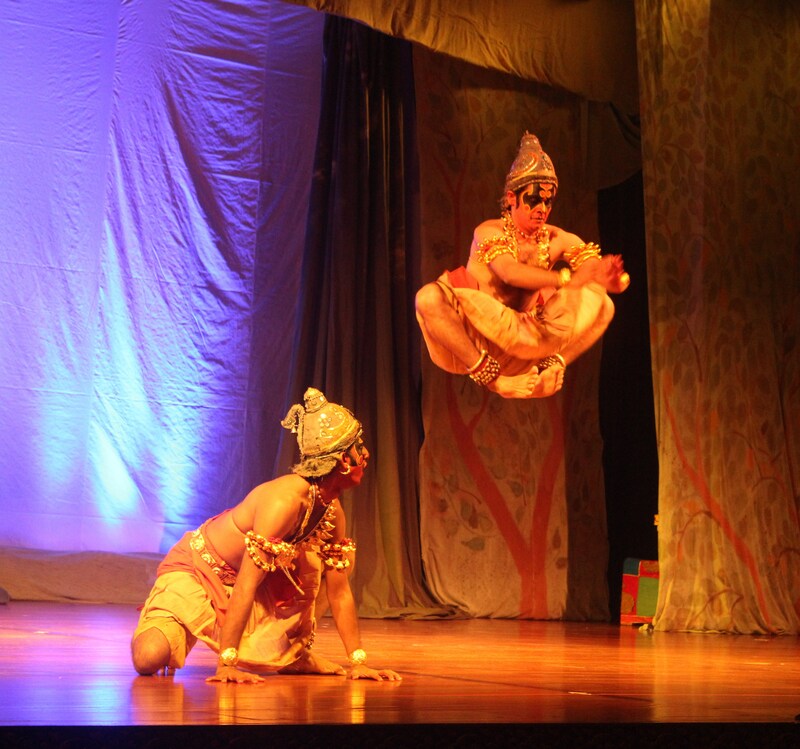 Kalakshetra performances are indeed exceptional.